In addition to transport and storage, the logistics and distribution sector offers a variety of commercial solutions to meet the specific needs of the market. Co-packing, including the management of the required packaging, is an important part of the activities in this sector. We support this sector with a range of packaging solutions that fit these activities. Tricor has a proven track record in the design and manufacture of heavy-duty packaging solutions for the distribution and logistics sectors. 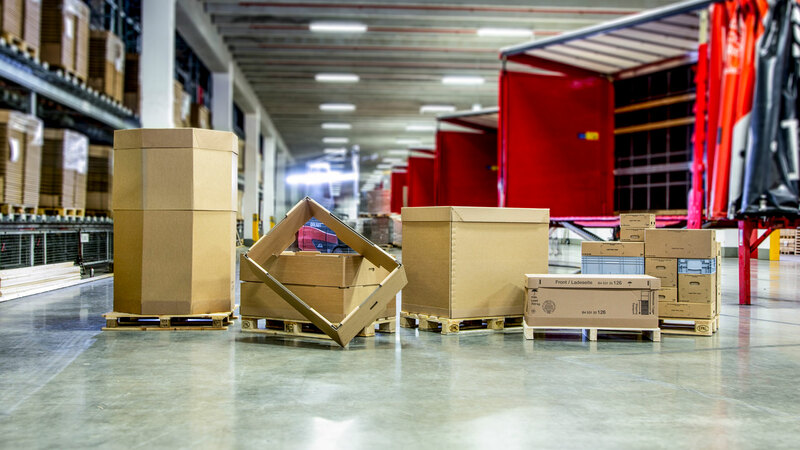 Our double- and triple-wall pallet box solutions are made from fully recyclable paper grades and consist predominantly of kraft liner, semi -chemical fluting and wet strength adhesives. They ensure optimum performance throughout your European and global supply chains. In addition to one-trip packaging solutions, we have a wide range of returnable packaging solutions for closed-loop applications.